4 REASONS WHY BIG BRANDS PREFER WOOCOMMERCE OVER SHOPIFY - 5280 Design Co.
We all know that WooCommerce (a WordPress plugin) and Shopify are both increasingly popular ecommerce platforms, and each has its own gigantic base of loyal users and fans. They are also in constant competition with each other. So, which one is better? The answer to that really depends on what type of ecommerce business you are. For serious ecommerce brands with big plans, WooCommerce is the way to go. 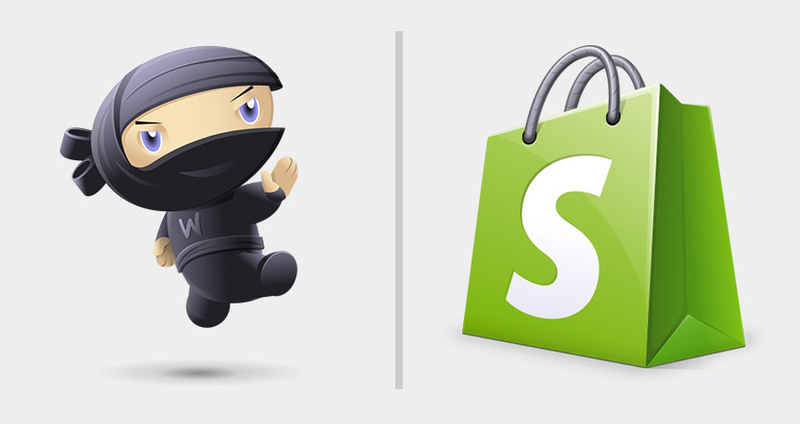 That doesn’t mean that Shopify is a bad ecommerce platform, it really isn’t. It’s a very good platform, with perks like competitive pricing, an easy-to-use interface and much more. It’s just that if you want to be a BIG ecommerce brand, and plan to go all the way to the top, WooCommerce is a much better option than Shopify. Shopify doesn’t let you have complete ownership of your website. Yes, it can give you your own URL and hosting services, but that’s all. Your website is still owned by Shopify, and you can only do what they allow you to do. This is fine for beginners and small businesses who prefer not going through the hassle of a more hands-on, customized approach. For people who prefer complete ownership of their ecommerce website, the WooCommerce plugin for WordPress is a much better option. It offers a lot more options to customize and build your website exactly the way you want to, and since it’s a plugin, you can integrate it in any WordPress site without the interference of a third-party like Shopify. This means that you have endless possibilities of design and customization options, both for template design and site features! Shopify, for example, only offers a limited selection range of product variations: color, material and size. WooCommerce, on the other hand, can allow you to select almost any product attribute, which gives it a huge advantage over Shopify for big, serious, extremely customized ecommerce brands. Great things take time. Even though WooCommerce is highly customizable and offers more control, it takes a lot of work, time, and sometimes even money (paid plugins), to design your site. That’s why it is a much better choice for serious and big ecommerce brands. We all know that WordPress is the most popular blogging platform, which is why it also offers a huge SEO advantage. It is so popular, that even Shopify sites often externally host their blogs on WordPress. That’s why, when you use WooCommerce on a WordPress site, you get boosted SEO! The great thing about WordPress is, it offers a complete content management system, or CMS, along with intricate SEO options, like meta tags. This means that if you’re willing to put in the effort, WordPress can do wonders for your SEO. Additionally, WordPress also offers this awesome plugin called Yoast, which is incredibly popular because of its simple, real time SEO instructions. Needless to say, WooCommerce saves you tons of money. It’s a complete DIY solution for startups and SME’s who want to develop serious, ambitious ecommerce brands and websites. Big, established companies can afford to outsource their websites to professional designers and developers, but WooCommerce is great for businesses with a limited budget. You can design your WooCommerce store however you want, and host it wherever you want, which gives you a big cost-effective advantage. Shopify is a great ecommerce platform. It’s easy-to-use and offers a lot of features. It’s just better suited for businesses who don’t want to go all way in terms of customization and control. WooCommerce for WordPress is a much better option for serious ecommerce businesses, simply because it integrates all the potentially useful tools for a business that grow into big, international companies. It demands a lot of time and effort, but that’s because it also brings you results you can’t get anywhere else. Note: If you do pick WooCommerce, make sure you go for a reliable, secure WooCommerce host. Find out more about how we can help you set up your own WooCommerce store today!